Rightways: Penang floods and landslides, looking beyound natural causes! Seeking solutions: Penang Forum member and soil expert Dr Kam Suan Pheng giving her views during the dialogue session themed ‘Penang Floods: A Call for Action’ held at Teow Chew Association in Chulia Street, George Town. (Top pic, front from right) Pulau Betong assemblyman Datuk Dr Muhammad Farid Saad, state Opposition Leader Datuk Jahara Hamid and Penanti assemblyman Dr Norlela Ariffin among the participants. From left) Sim, Cheah, Dr Norlela, Jahara, Shah Headan, Lee and Yap occupying the front row at the dialogue on floods organised by Penang Forum. Some 200 people comprising mostly politicians, experts and residents gather in a dialogue session to discuss the long-standing problem plaguing Penang. Many voice their concerns that over-development in the state could be the cause of the headache. HEAVY rainfall and high tides are natural causes of floods which cannot be avoided. However, soil expert and scientist Dr Kam Suan Pheng said there were also other reasons that caused the constant flash floods in Penang. She said limited capacity to channel off discharge and surface flow which led to water accumulation downstream were some of the causes that resulted in flash floods. “These issues have been addressed in flood mitigation. “However, we also have to tackle the causes of increasing impermeable surface areas and debris clogging up waterways, which are also the root causes of flooding problems,” said Dr Kam in her talk on ‘Understanding the Causes of Floods and Seeking Solutions’ yesterday. Dr Kam, who is also a Penang Forum member, said having proper planning on land usage and development controls, creating more urban spaces and parks besides river bank protection were also vital in flood prevention. “Stringent monitoring on development projects and protection of hill land and hillslopes are important. “To do so, policy and legal instruments have to be deployed, while environmentally sensitive and ecologically friendly structural and non-structural solutions should be adopted,” she said. Dr Kam was one of the speakers at a dialogue session themed ‘Penang Floods: A Call for Action’ held at the Teow Chew Association in Chulia Street. << Stringent protection of hill land and hillslopes are vital, says Dr Kam. Joint Resident Associations of Bandar Baru Ayer Itam chairman K. Suthakar said that for the past two to three years, residents living in Bandar Baru Ayer Itam have been suffering from flash floods. He said there were some 20 housing schemes in the township comprising 10,000 housing units with a population of 16,000. “The residents had to face the brunt of it when the whole city was underwater on Sept 15. “I visited the retention ponds in Lebuh Rambai and Desa Permata Bandar Baru Ayer Itam on Saturday to check whether the ponds have been deepened. “Sadly, nothing has been done,” he said. He asked some of the state assemblymen, who were present at the dialogue session, to raise the issue when the state assembly convenes on Thursday. Environmental, health and safety consultant Aziz Noor, in his talk on ‘Implications of Hillside Development’, said landslides commonly happened on hillsides or slopes that were cleared. “When the hills are at their natural state, they will not collapse. “But when the natural state is violated with the slopes being cut, then landslides are bound to happen. “Whenever there is a downpour on the cut hill slopes, there would be mudslides contributing to muddy flash floods as well,” he said. Filepic of recent flooding in Taman Thean Tek, Ayer Itam, Penang. The dialogue session saw a packed hall of almost 200 people, comprising mostly residents and representatives of residents associations who were affected by the recent flash floods. Several state assemblymen and politicians from both sides of the divide also turned up at the event organised by Penang Forum and Residents Association of Penang. Among those present were Penang Barisan Nasional chairman Teng Chang Yeow, state Opposition Leader Datuk Jahara Hamid, Pulau Betong assemblyman Datuk Dr Muhammad Farid Saad, Teluk Bahang assemblyman Datuk Shah Headan Ayoob Hussain Shah, Kebun Bunga assemblyman Cheah Kah Peng, Penanti assemblyman Dr Norlela Ariffin, Machang Bubuk assemblyman Lee Khai Loon, Pulau Tikus assemblyman Yap Soo Huey and Bayan Baru MP Sim Tze Tzin. GEORGE TOWN: A geotechnical engineer has warned the authorities that steeply-cut hill slopes are “ticking time bombs” that need constant monitoring and maintenance. Zeezy Global geotechnical and environmental consultant Aziz Noor said in view of the Tanjung Bungah landslide on Oct 21 that took the lives of 11 workers, all authorities, not only in Penang but throughout Malaysia, should keep an eye on all steep slopes as disaster might strike at any time. He said although a hill slope might appear fine from the outside, it could be on the brink of collapse due to water pressure and vibrations from the surrounding environment. “Most of these slopes are clay mixed with sand. Clay has an affinity ( to stick together). At particle level, they can hold up. “When water comes down steep slopes they break the affinity of these particles. And yet they still hold up but it just speeds up the time of the collapse. “That is why they do not fall right away. They are a time bomb, a disaster waiting to happen,” he said at a talk hosted by Penang Forum today. Aziz, an American-trained environmental and geotechnical expert, was manager of an independent consultant engineering firm investigating the aftermath of the Highland Towers collapse in Ulu Kelang, Selangor, in 1993, in which 48 people were killed. He said hills cut beyond their “natural angle” were the ones to watch out for. “A hill slope that is cut beyond its natural stable angle is not a stable slope. Such slopes are at high risk of failure and can end up in landslides. “When you have bare slopes like that, the portion of runoff is large; the steeper the slope, the faster the ‘teh tarik’ (mud slide) comes down. “Basically, when the water runs off faster, the more erosion it causes, and the faster it will go down to lower-lying areas and cause flash floods with silt,” he said. Aziz said to prevent such disasters from happening, engineers ought to cut hills at a more natural angle and ensure drain holes are built into them. He said drain holes would release the “water stress” that might be building up beneath the slopes. Aziz stressed that these measures were not one-off solutions and required constant monitoring from all parties. “Ordinary folk might think, okay, looks like a nice concrete wall. But you do not know what is going on underneath, and hence, you need to maintain the hillslopes from time to time. “That is why you see the slopes on our PLUS highway are constantly being maintained. It is something you do not mess around with,” he said. Aziz said many construction sites cut corners by placing plastic sheets on cut hillslopes, which would not help much in preventing landslides. “This is akin to putting a band-aid on a very sick person,” he said. On the Tanjung Bungah landslide, Aziz said the state authorities must beef up their monitoring teams and place them on full patrol at all sites in the state. Front row, from right) Penang Barisan Nasional chairman Teng Chang Yeow, Pulau Betong representative Muhammad Farid Saad and state opposition leader Jahara Hamid at the Penang Forum dialogue on flood woes and hill site developments. – The Malaysian Insight pic, October 29, 2017. RESIDENTS associations in Penang today were upset that most of their elected representatives skipped a dialogue on flood woes and hill site developments, as local civil society groups continue to push for a moratorium on hill projects. 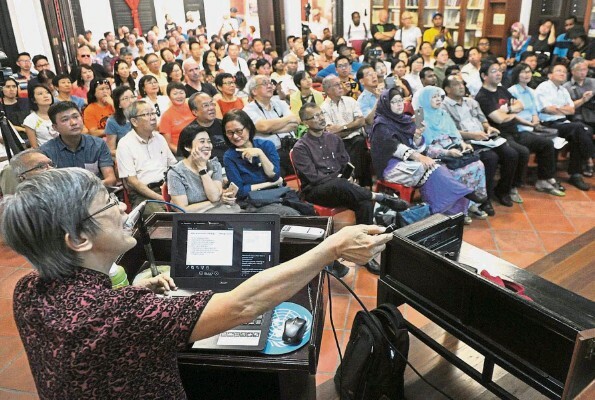 Penang Forum, a coalition of local civil society groups, had invited the state’s elected reps, but fewer than 10 turned up at the dialogue that drew about 200 people to the Teochew Association in George Town. The assemblymen seen among the crowd were state opposition leader Jahara Hamid (Teluk Air Tawar), Muhammad Farid Saad (Pulau Betong) and Shah Headan Ayoob Hussain Shah (Teluk Bahang) from Barisan Nasional (BN); and Cheah Kah Peng (Kebun Bunga), Dr Norlela Ariffin (Penanti) and Lee Khai Loon (Machang Bubok) from PKR. Pulau Tikus rep Yap Soo Huey was the sole DAP assemblyman present while the only MP at the dialogue was PKR’s Sim Tze Tzin of Bayan Baru. The only other DAP member present was Penang Island City councillor Syerleena Abdul Razak. Also present were Penang BN chairman Teng Chang Yeow, several Gerakan leaders, and Penang Front Party’s Patrick Ooi, who has been critical of the Penang government in the past. Jahara said the BN reps in the Penang legislative assembly would table a motion to call for all hill land and slope projects to be halted. “We are not here to point fingers, but fingers have to be pointed at the authorities,” she said. Norlela, one of the most vocal PKR reps on local developmental issues, said she hoped Pakatan Harapan and BN could set aside their differences to solve flood woes and developmental issues in the state. Norlela was one of five PKR government backbenchers who abstained from voting to reject a BN motion on land reclamation during the state legislative assembly in November 2015. DAP holds the most seats in the Penang legislative assembly with 19 out of 40. PKR has 10 while PAS has one seat. BN’s Umno holds the remaining 10. In a press conference last week after a landslide in Tanjung Bungah killed 11 construction workers, some residents association reps warned the state government that it could lose votes if it continued to allow hill site developments and ignored the people’s objections. At the dialogue today, the joint residents association rep for Bandar Baru Ayer Itam, K. Suthakar, took a dig at the elected officials when speaking about flood woes in his area. He said Lebuhraya Thean Teik had “turned into a river” when a bad flood hit last month, causing residents to miss work and school. “Why do they become elected reps? Because they want to serve the people, to solve their problems. But after the election, you don’t see them for three or four years. People are crying for help but you have no time to come,” he said. Tanjung Bungah Residents Association chairman Meenakshi Raman also said she had expected more than 10 elected reps to attend the dialogue. “We are disappointed that not many could attend. We had hoped to see more DAP reps,” she said. It was learned that DAP had an internal party programme at the same time this morning on mainland Penang in preparation for the party’s special congress on Nov 12 to re-elect its central leadership committee. 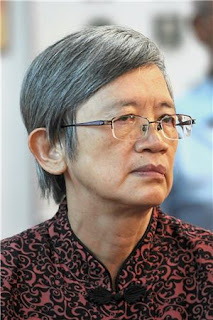 Meenakshi said the residents association and other civil groups, which recently criticised the state government over hill site developments and flash flood incidents in Penang, were still willing to engage the powers that be in dialogue. This was despite the association not getting replies to letters it recently sent out to all Penang assemblymen and MPs on its demands to solve flash flood problems. “We are ordinary people. 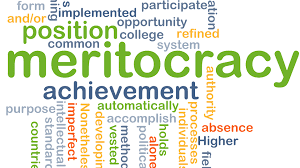 We have nothing against them, but some (leaders) have accused us of being arrogant. Elected reps must be accountable. There is nothing wrong with the people asking the state government and their YBs (assemblymen) what they are doing,” she told The Malaysian Insight after the dialogue. Meanwhile, Dr Kam Suan Pheng, an expert in geographical information systems, told the dialogue session that floods in Penang were caused by both weather conditions and human activities, adding that the situation would worsen with climate change. “Since 2003, the emerging trend for rainfall is increasing. Flash floods will be more frequent, happening at lower rainfall thresholds. “With climate change, we can expect heavier and more intense rainfall,” she said, adding that Penang’s urban drainage was not well planned enough to prevent floods. Kam said the authorities must tackle the root causes with proper land use planning and development control, stringent protection of hills and river banks, strict monitoring of development projects, and by increasing the number of urban parks. She said the authorities must also look beyond the environmental, drainage, transportation and social impacts of individual projects, use existing laws and policies and adopt eco-friendly solutions. 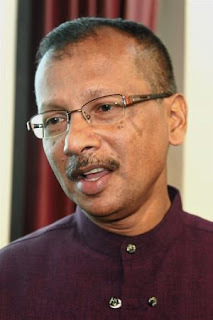 Aziz Noor – a consultant with more than 30 years’ experience in areas of environment, health and safety in Malaysia and overseas – said Penang should take the recent Lembah Permai landslide as a wake-up call. “Legislative controls are more than adequate but compliance is sporadic. Enforcement has been weak,” said Aziz, who is managing director of Penang-based consulting firm Zeezy Global. Another speaker at the dialogue, lawyer Agatha Foo, said legally, the state should stop development on ecologically-sensitive land over 76m above sea level and on slopes over 25 degrees gradient using existing laws and guidelines. She also said the authorities could impose strict enforcement, and seek a jail sentence for company directors whose firms violate the law as a more effective deterrent than fines. – October 29, 2017. Penang Paya Terubong Residents living under shadow of fear!